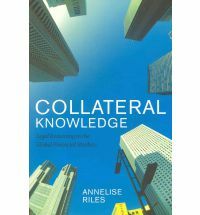 I was entranced by the prospect of reading Annelise Riles' Collateral Knowledge, given my eclectic (some would say scattershot) interests. Riles delivers a sophisticated and insightful anthropological treatment of the management of various legal questions facing Japanese banks entering OTC swap transactions. Global finance, ethnography, tasty legal theory: what fun! Riles examines two crucial points of tension in the swap practices of Japanese banks. The first is the utilization (under Japanese law) of the institution of collateral: the posting of property to secure repayment of a debt. The book's title, Collateral Knowledge, plays on this and other meanings of "collateral." All commercial lawyers understand how collateral should work: it should freely pass the pledged assets into the hands of the favored creditor in the event of a debtor's default. And so the mission of a bank lawyer (in this case, one dealing with a Japanese bank) is to assure his principals that these functional expectations are met. This is hardly a simple matter where (in an example given by Riles) the swap is between a Japanese bank and a UK bank, posted to their respective Cayman Island subsidiaries and involving Chinese and Singaporean currencies. The swap raises peculiar difficulties, as neither party knows ex ante whether it will be a net creditor or net debtor of the other -- and so both may need to post, maintain and adjust collateral supporting the transaction. The standard industry forms, drafted by British and American lawyers and routinely used by the Japanese banks, are "literally nonsensical" to the Japanese, according to Riles. In a brilliant chapter she chronicles the "lawyerly" responses taken within the Japanese legal community to doubts concerning the enforceability of key provisions of the basic swap documentation that call for "netting" debts owed to an insolvent bank against credits due (thus removing these assets from other creditors). Favorable "administrative guidance" from the Ministry of Finance did not provide an adequate legal foundation. The first response was the preparation of an amazingly complex legal opinion, drafted by a famous professor of the University of Tokyo. The opinion is drafted by a legal generalist (not a commercial law specialist) and is directed to an eventual generalist judge called on to rule on the very question. The opinion's author artfully uses analogies and a series of cases to drive home the ultimate conclusion that netting is supported by Japanese law. The effectiveness of this opinion derives from its inner persuasiveness and by the mighty prestige of the author. But in the end, the legal opinion works only as an internal solution; the global banking community needs more (as if to convince itself of the sound conclusion of Japanese law). What follows is a strange kind of blank-check statute that seems to do the trick. Japan now has a law -- this law -- that assures the netting will be recognized. There are more stories here from the inner workings of the Japanese banks: moving to a real-time gross payment system, authorizing the rehypothecation of pledged collateral, the fight against "corrupt" regulators (who seem to be guilty of no more than an occasional free lunch). And much more of interest. 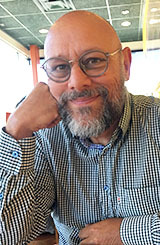 Riles locates "legal knowledge" both within the private actors and in the state -- and observes how this frontier shifts in time. She traces the effect of outside intellectual influences (such as Chicago School economics and rational choice theory) on the Japanese regulatory imagination. She freely moves from the imperatives of the global to the insistences of the local. And she places her work within the larger body of contemporary legal anthropology. Collateral Knowledge is a tour de force.